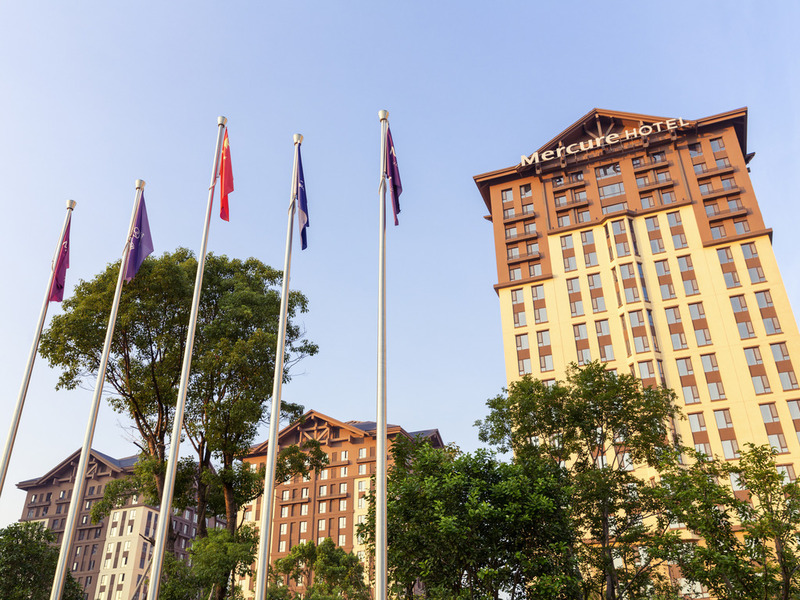 Mercure Nanchang Sunac is a 504 rooms international hotel located in the Wanda Cultural and Tourism City. It is adjacent to the theme park thus giving you a magical feeling, set among Asia's largest aquarium and romantic bar street. Facilities include Terrace Cafe, Lobby Lounge, Meeting Rooms and Gymnasium. 10 min drive to the high speed Nanchang West station, 50 min to Changbei International Airport. 8 min drive to Nanchang International Stadium that regularly hosts concert and sport game. the staff is very kind. It has prepared welcome decorations which is surprised to us. The staff also suggest a nice one-day trip for us. The location is good. It is not very far from the WanDa Mall and the metro station. The room is big and clean. They have upgraded our room so that we can see that Jiulong Bay and Wanda Mall. We had our breakfast in Novotel which is next to our hotel. The Manager is Coco, she is very kind who also has given some good suggestions for our trip. However, we found one of the towel in the room is not very clean. I think this needs to be improved for such a good hotel. And the choice of the Breakfast is not so much. Hope can have more in future. This is quite a new hotel that is very close to the Wanda Mall and not far away from Nanchang Xi railway station. The views around the building is also fantastic, a lake can be seen from the window of the room. The room was comfotable and we had a good sleep during our stay. Besides, the price was reasonable. Overall, this is a great hotel for people who want to go shopping in Wanda Mall or visit other places of interests in Nanchang. Room was great. Issue was at check in and check out. Not enough staff at the front desk to support the large volumes of people coming in and out. Just like someone call me do something. Good service for the customer. The room is big &amp; nice view, but breakfest offers few choices, and poor quality&amp; taste.